Every year, the IRS gets more sophisticated and improves their methods of identifying delinquent tax filers. 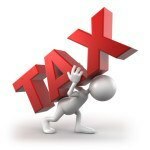 Regardless of the cause of your back tax filing problem, you need to take this problem very seriously. The IRS is becoming very skilled at finding non-filers and back tax returns. Even if they have not found you yet, they will, and you may face very serious consequences if you continue to ignore the situation. These is an urgency to filing back tax returns and to take matters at hand before the IRS and/or state tax authorities choose to do so. If you have unfiled tax returns, the clock hasn’t started on your statute of limitations. That means that the IRS can seek your unfiled returns six years from now, 15 years later, 30 years later and so forth. In other words, there is no statute of limitations to go after your back tax returns. The statute of limitations clock doesn’t start until you file your return. The IRS may send you a notice requesting that you file a delinquent tax return. They may take several years to inform you that they haven’t yet received your tax return. The IRS will eventually notice that you haven’t filed a tax return and will pursue you for any associated back taxes. The IRS does not forget. The IRS does not go away. Request Our Free Guide For Americans Behind On Their Taxes! Just because the IRS has not contacted you does not mean they have missed your failure to file. Eventually, the IRS will prepare your return based on what is in the best interest of the government, usually with little or none of the deductions you are entitled to. The IRS prepares a “Substitute for Return” (SFR) for your late tax returns in the best interest of the government, resulting in the IRS overstating what taxes you owe and, consequently, what you owe in penalties and interest. The only deductions you’ll see are standard deductions and one personal exemption. You will not get credit for deductions which you may be entitled to such as exemptions for spouses, children, mortgage interest and real estate taxes on your home, the cost basis of any stock sales, and business expenses for your self-employment income reported on a 1099-MISC, etc. As you can see, the IRS can financially paralyze you. To avoid these consequences, it is important that you address the situation immediately. Make no mistake, this is not a situation to take lightly, failing to file your tax returns can be a criminal offense. The further passage of time only contributes to the amount of back tax help that will be needed to fix your tax problems. The IRS will not entertain any type of tax settlement (such as an Offer in Compromise) or installment payment plan to settle your back taxes until you have filed all legally required tax returns. However, peace of mind and good night’s sleep is well within reach – get the peace of mind you deserve by having the tax experts at Tax Samaritan help you get back into tax compliance. If you voluntarily file your delinquent returns you’ll likely avoid further problems in the future. It’s in your best interest to file returns for those missing years as soon as possible. The longer you wait, the higher your possible tax liability. Before anything can be done to extract you from this predicament, all the returns must be filed. Filing an original return vs. an IRS prepared return will give you a chance to state what you truly owe. If you haven’t filed a tax return in a while, you may owe back taxes, but perhaps you may even have a refund. The first step is to gather all of your tax information and documentation for each year you failed to file a tax return. Research thoroughly any missing information to be sure the return you file is accurate and complete. Tax Samaritan can assist you with this first step by researching with the IRS all the background information that is available on your account which includes all wage and income information that has been reported to the IRS and help you identify what other information may be needed for your return. Don’t let the fear of owing the IRS prevent you from filing your return – there are many options if you owe. Take a look at Ten Tips For Taxpayers Who Owe Money To The IRS to learn more. The tax professionals at Tax Samaritan have prepared thousands of returns for taxpayers. You need an expert that will protect your interests. Request a Tax Resolution Services Quote today to get started with back tax filing. You have nothing to lose, but a good nights sleep.